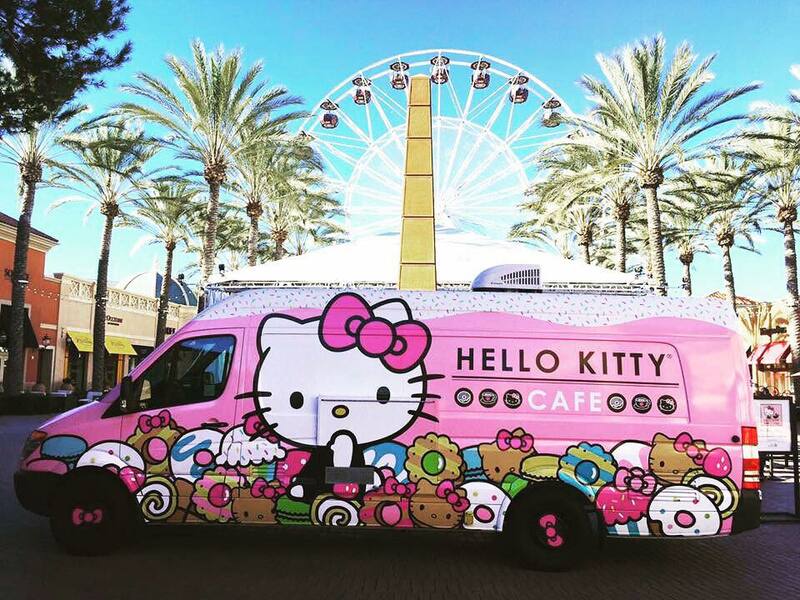 The hugely popular Hello Kitty Cafe Truck will be making multiple appearances around the Los Angeles area on Saturdays, Feb. 4, 11 and 25, in Valencia, Glendale and Northridge. • Saturday, Feb. 4, from 10 a.m. to 6 p.m. at Westfield Valencia Town Center, 24201 Valencia Blvd., Valencia (return appearance). The truck will be parked near the Food Court entrance. • Saturday, Feb. 11, from 10 a.m. to 8 p.m. at Glendale Galleria, 100 W. Broadway, Glendale (fourth stop in Glendale). The truck will be parked in front of the Galleria sign. • Saturday, Feb. 25, from 10 a.m. to 6 p.m. at Northridge Fashion Center, 9301 Tampa Ave., Northridge (first visit). The truck will be parked in the circle court near the theater. The Hello Kitty Cafe Truck is a mobile vehicle of cuteness that offers a delicious array of Hello Kitty sweets and special goodies to fans of all ages. 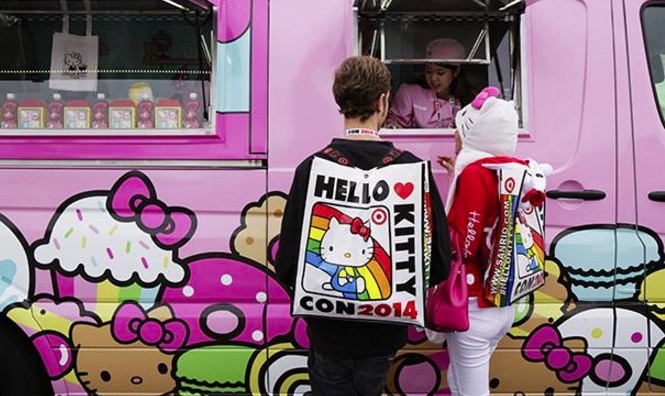 It has been rolling up to festivals and other events across the U.S. since its official debut at Hello Kitty Con in October 2014. The yummy treats on board the truck will include a three-piece Hello Kitty cookie set, a rainbow macaron box set that includes a surprise Sanrio character design, a four-pack of mini cakes, and bow-shaped bottles of water. In addition, a Hello Kitty Cafe mug, a supercute pink Hello Kitty Cafe T-shirt and the pop icon’s signature bow headband will also be available to purchase. Fans can follow the Hello Kitty Cafe Truck on Facebook, Instagram and Twitter to stay updated about upcoming appearances and where to find these adorable Hello Kitty treats. Based on the success of the Hello Kitty Cafe Truck, Sanrio opened the Hello Kitty Cafe Pop-Up Container at the Irvine Spectrum Center, 670 Spectrum Center Dr. in Irvine, in July 2016 to continue to spread its message of happiness, friendship and fun through yummy goodies and beverages featuring Hello Kitty and other character friends. It will be open for a year-long residency and offers a menu completely different from that of the Hello Kitty Cafe Truck.